Like many readers of Inexplicata, I had not read of the unusual events involving Lt. Van Deer and Capt. Isern until I translated them yesterday. 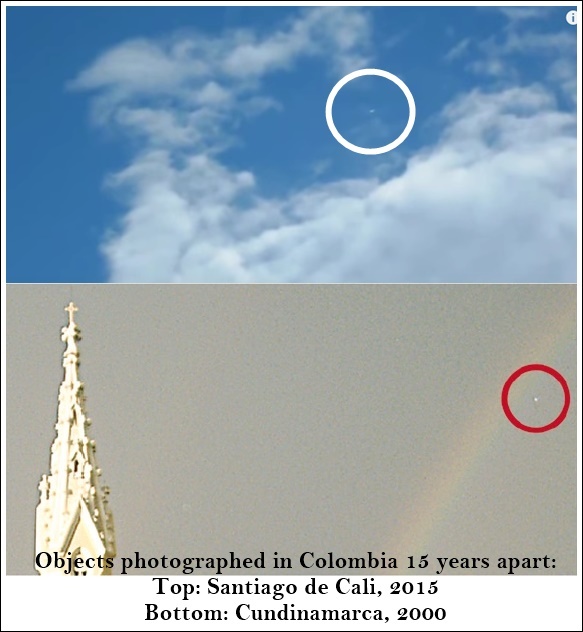 Our thanks to Silvia Pérez Simondini for making this information available to the UFO community. Reports involving pilots – whether civilian or military – and aerial anomalies have always been of interest to me, and we have tried to showcase them whenever possible. They bring to mind the excellent articles of Martin Caidin, Emil Schumacher Richard Haines and other authors of yesteryear who first brought such experiences to our attention. "It took place in Le Mans at the start of the summer of 1941...The Luftwaffe had occupied the old Le Mans airfield at the La Sarthe circuit and was stationing many Messerschmitt 109 fighters--not very fast vehicles, but highly maneuverable ones. The German pilots were kept in constant state of readiness, and I had the opportunity to witness a number of Messerschmitt flight squadron maneuvers in broad daylight. "The weather was splendid, and as far as I can recall, it was a Sunday. At around 1300 hours, the skies were clear and only a few large cumuli could be seen at quite a distance from each other. Toward that time, the entire city heard the roar of the airplanes flying at full speed, and I was able to ascertain at the time that the cause for alarm appeared to be within one of the large cumulus clouds, which at the time was slowly passing over the airfield. 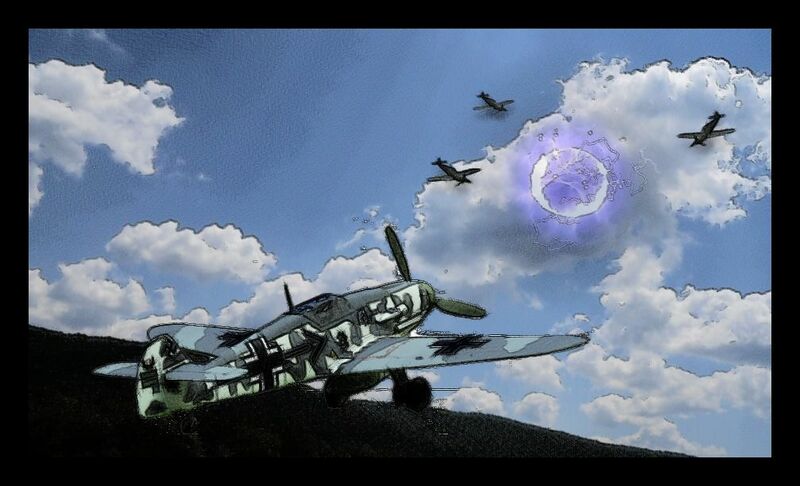 One could see the Messerschmitts flying around the cloud, diving into it, shooting up out of it, or emerging from it sideways before engaging in the same maneuver again. It was a spectacular performance to watch, but it must have been terribly dangerous for the pilots. Was this an exercise ordered by the base commandant or an alert? I never found out, but it was interesting to see the looks of terror on the faces of the German soldiers and officers that comprised the city garrison as they followed the spectacle from the windows of their homes. "I was then able to observe how the cloud, whose base upon its arrival was 900 feet high to a maximum height of 3000 feet, began to grow, and when it cleared the airport to move away from the city, had acquired the shape of a very tall pyramid with perfectly clear outlines. Its sharp apex must have been at an altitude of some 10000 feet, judging by its visible height over the horizon and its probable location over the terrain. My vantage point was some 2 miles away from the airfield, and the cloud was some 3 miles away while I watched its apex." The phenomenon of anomalous objects concealed behind clouds did not remain safely consigned to the chronicles of a war that took place over seventy years ago. As recently as 2015, videos were posted to the Internet showing enigmatic solid forms emerging from clouds over Santiago de Cali, Colombia (https://youtu.be/1GAD7I5NU8o). Photos taken in the late 1990s showed similar structures at the leading edge of storms, photos of which appeared in the United Kingdom’s UFO Reality magazine. 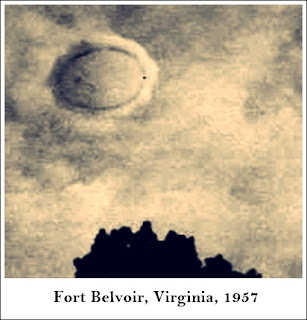 Other videos have gone as far as to suggest that the objects create clouds around themselves a sort of camouflage (https://youtu.be/Afpbofp9FgU)reminiscent of the legendary Fort Belvoir UFO of September 1957, photographed by an Army private. The black, annular object became "engulfed in white smoke", but not before a series of photos could be taken of it with a trusty Brownie camera. The Fort Belvoir incident became one of the key items of the Condon Commission's report.